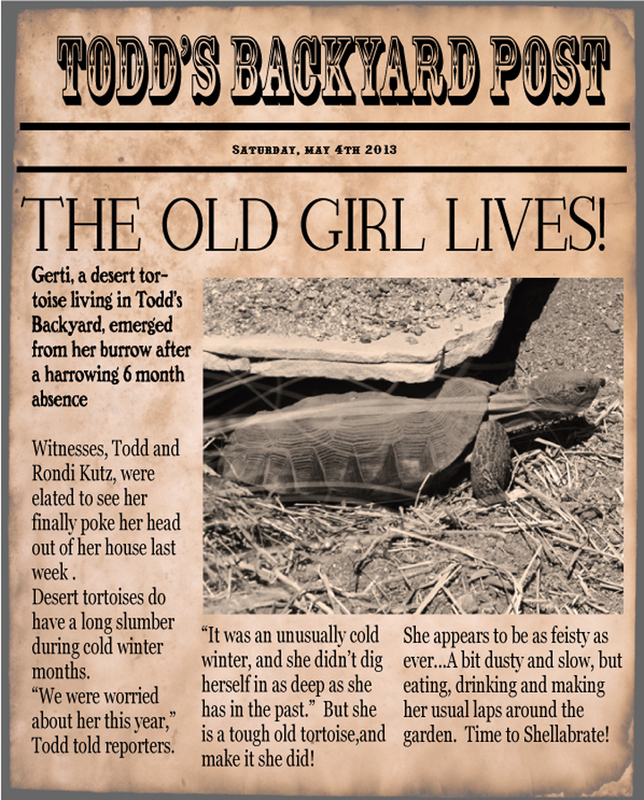 Well, obviously Gerti loves her burrow and is comfortable there, so congratulate Todd on a job well done. Glad she made it alive and healthy. My Ariza only slept 4 months, this was her first hibernation in my burrow, I found her last August. But since April 4 when she emerged she’s been taking long multiple days “naps”. She’s healthy so I’m happy and I’m relieved that she also made it okay through her long sleep. Love hearing about your Gerti. Got a chuckle out of your “old newspaper story”, very clever. Rondi and Todd, we so love your photo’s and the stories that go along with them! Thanks!